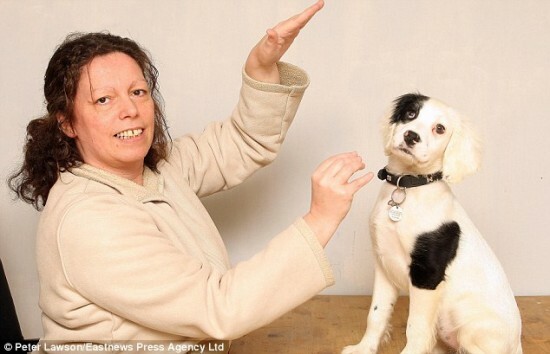 Everyone knows how important it is for dogs to associate sounds with commands, but Alice, a deaf eight-weeks-old springer spaniel is currently learning sign language commands, from her new owners. 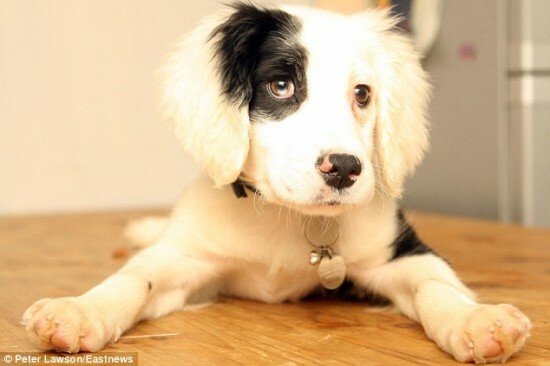 The poor puppy had a rough start in life, after being abandoned by a breeder who decided a dog that couldn’t learn commands wouldn’t bring him any money. When she was brought to The Blue Cross adoption center, Alice was sick, dirty and very nervous, and the staff though they would have a tough time finding a family willing to take in a dog that required lots of special training. But when Marie Williams and her family first laid eyes on the cute canine, they new they had find the pet they were looking for. Marie fell in love with puppy the moment she saw her, and when she learned she was actually deaf, that just made her even more special in her eyes. Miss Williams and her partner, Mark Morgan, are also deaf, so they knew Alice would fit right in with the family. 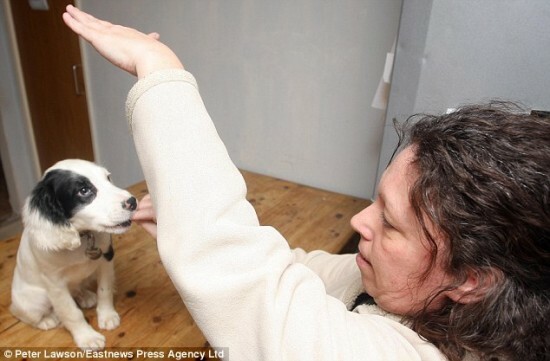 Now, less the a month after being adopted, the puppy has already learned some basic commands, and her new masters are using sign language to teach her other tricks. ‘Alice is such a loving and responsive dog and she proves that with a bit of time and effort, a deaf dog can be trained and become a wonderful pet,” said Julie Stone, manager of The Blue Cross center.